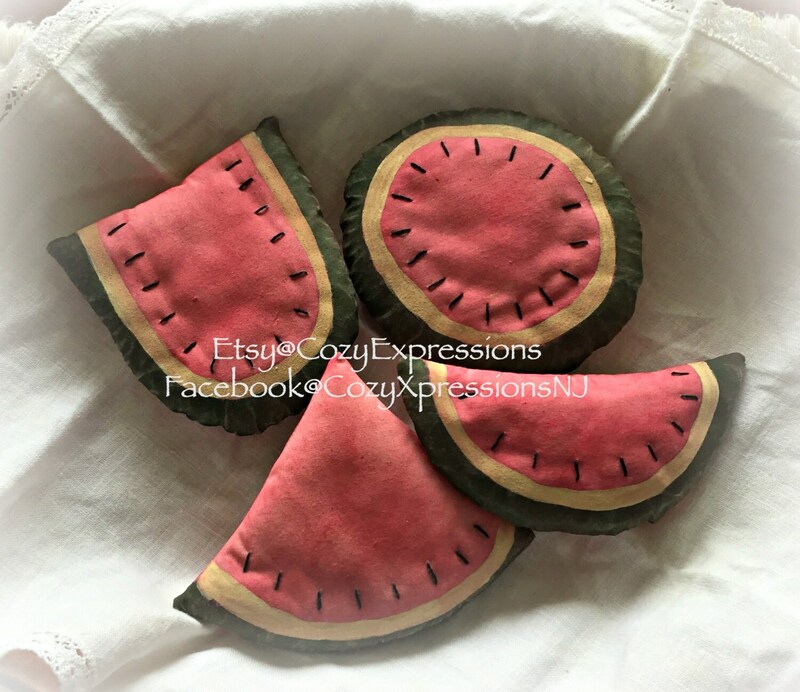 You will receive a set of 4 different watermelon shaped fabric bowl fillers. 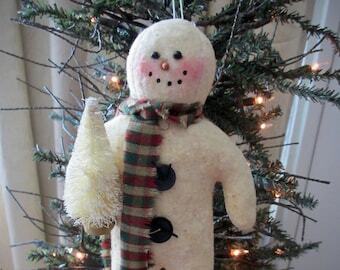 Made from muslin which has been painted and stained to achieve the "primitive" look. The watermelon seeds have been hand stitched on each. Dimensions are approximate at: Round - 5.25"
U - slice - 4.25" x 4.25"
Wedge - 4.25 x 5.75"
Slice - 2.50" x 6"
Since each is handmade, no 2 will be alike. I love them :) ..thank you!